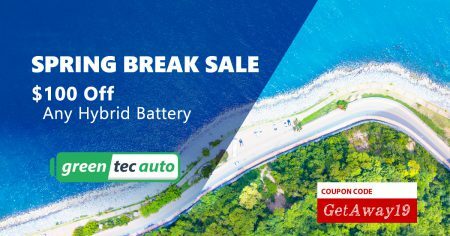 Spring Break Sale ended Friday but don’t worry ’cause we still have the Tax Season Sale promo for all hybrid batteries s which runs till Monday. Use coupon code: TaxSeason19 at the checkout. No Minimum. While supplies last. Offer can not be combined with any other offers or promos. Expires on April 20, 2019.